Our Expertise - Harbor Hospice Michigan | Your Journey. Your Terms. The Harbor Hospice philosophy of care places the needs of patients and the families first. Our comprehensive care for terminally ill patients and resources for their families allows them to enjoy their last months, weeks, or days of their lives together as completely as possible for as long as possible. We help patients and their families make a plan for living each and every one of their days as they want them to be lived. Our goal focuses on the individual’s end of life journey — Your Journey on Your Terms –- as well as support for the patient’s family. Harbor Hospice is uniquely qualified to focus on pain control and symptom management for terminally ill people at home or in a home-like setting — it‛s Our Expertise. When life is measured in months, not years, Harbor Hospice helps make a dying patient’s quality of life better. Harbor Hospice makes it possible for families and their dying loved ones to share their final time together. Harbor Hospice offers specialized health care with expertise in pain and symptom management, emotional support and spiritual care, as well as grief counseling for family members anticipating or following the death of their loved one. Harbor Hospice lives its mission to provide empathy, expertise and excellence in end of life caring. 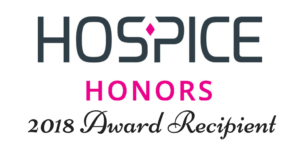 Harbor Hospice was the first in the region to offer professional hospice care and today remains the most trusted, most utilized hospice care provider. Harbor Hospice is a not-for-profit and proud to be a United Way Agency and accredited by The Joint Commission. Harbor Hospice is distinguished by superior, medically-based care-giving and trained, empathetic staff. At Harbor Hospice, hospice care is a specialty, not a service line. Harbor Hospice has served the Western Michigan Lakeshore community longer than any other hospice provider in the region.